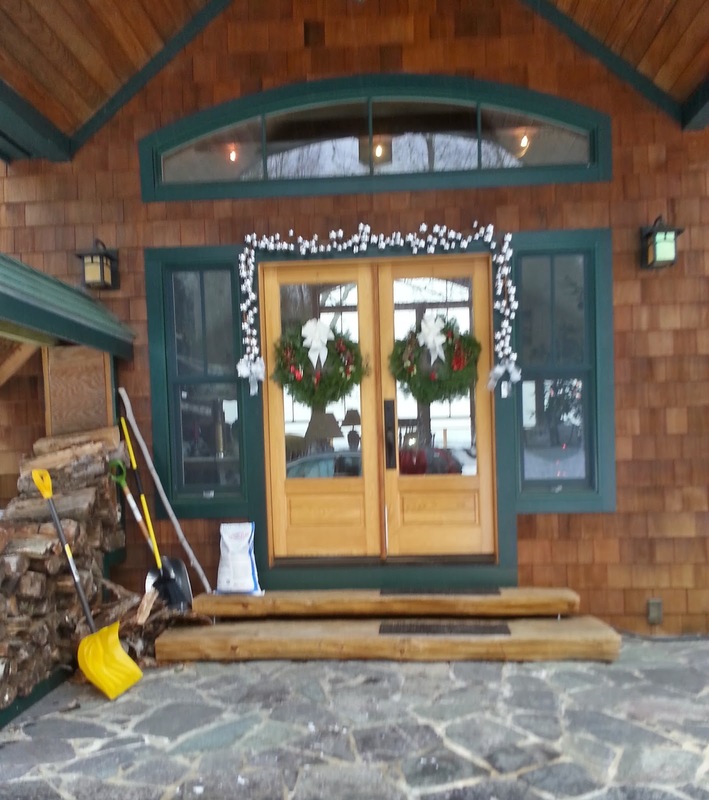 We're ready to welcome winter & the holidays. Six years ago I left the gentle breezes and tall palms of Southern California for a forest in Maine where I live with my husband and books. No, I’m not crazy. I’ll get to that in a moment. Some things haven’t changed. For instance, I write every day. But another part of my life is dramatically different, and that’s due to the weather. 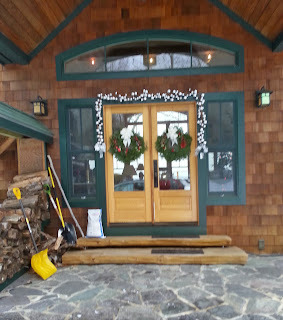 I mean Real Winter Weather – no more wimpy climate showcasing roses in bloom and beaches rife with short-shorts. I’m talking about ice so smooth you can see your reflection day after day. After day. Snow tires that cost $500 each. A garage full of snowshoes, skis, and items to slide down glistening white hills at speeds great enough to give you a high. Or a broken neck. I love it. This month we Rogues are writing about favorite holiday gifts. One of mine has been Maine – to receive, and to give. 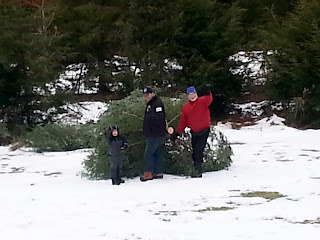 Finn, Kari, & John capture a Christmas tree! Grandkids & me admiring our work. for poisoning a character) and a scattering of cedars on our 14 acres. 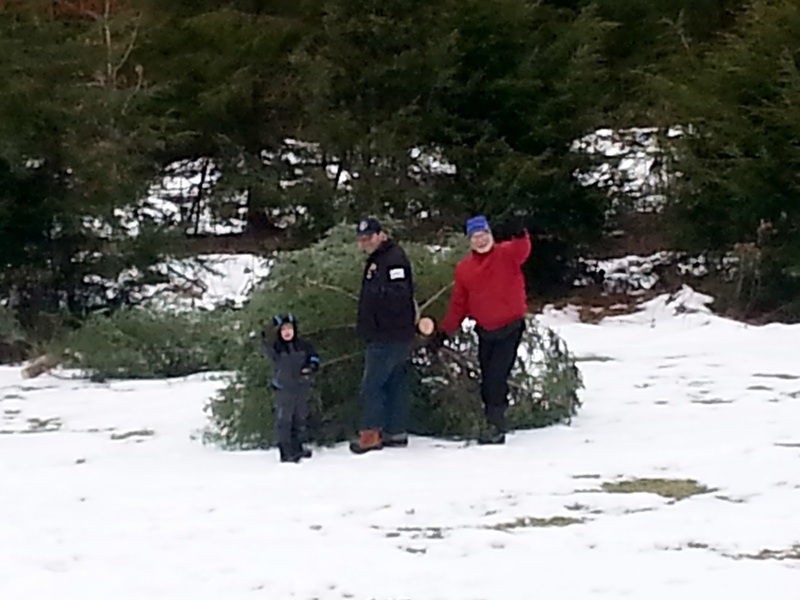 Every year John leads the chopping-down party to select one. Since the trees are ungroomed, they sprawl, but we have a high ceiling so they can also be tall. The grandkids love climbing ladders to decorate them. The only downside is, we’ve had to put screws into the wall so we can tie the trees to them so they don’t keel over. But, oh, each of the trees has smelled heavenly. Finn & Sophia on a snowshoeing adventure. And there are winter sports. The aforementioned snowshoeing is my personal favorite. We keep all the accouterment downstairs by the door so we can sit on a bench outside to put on our rigs. We have a lot of fun counting how many times I fall each season. Snow is soft though, and I’ve perfected my scrambling-back-up-to-my-feet moves. 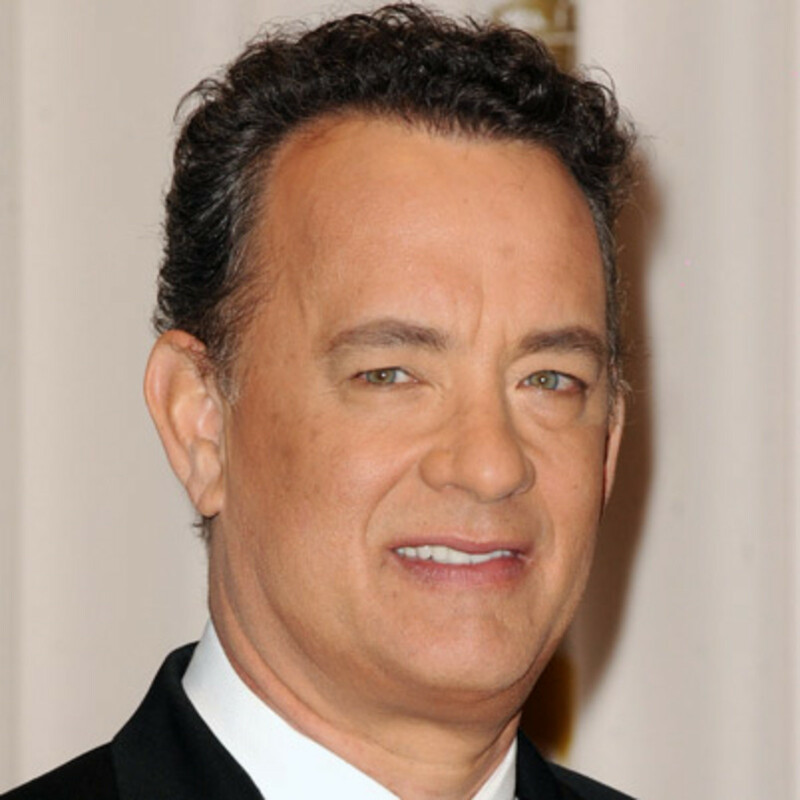 John never falls, and he never laughs at me. He’s an athlete and a kind man. I just write books in which people die horrible deaths. I sometimes think about that as I’m snowshoeing. In those short days and long nights of winter, we’re fortunate to live in a cocoon that seems timeless, reassuringly eternal. When the winds roar and the snow dances, we have a private showing of nature at her theatrical best. During the day, we write and work. Evenings, we eat our dinner beside a roaring fire. I count myself sane to have joined John in Maine. Whatever you celebrate this month, may you find much joy in life. Thanksgiving―traditionally a holiday to celebrate the harvest―has become a time to celebrate family and friends, to over indulge in all things yummy, and the day before Black Friday. In our home, we gather around the table, make a toast to those present, those who couldn't be present and those who might be present. Then, once the turkey, mashed potatoes, roasted Brussels sprouts and cranberries have been passed around, we follow suit with each of us stating that which we are most thankful for this year. A variety of things are shared. 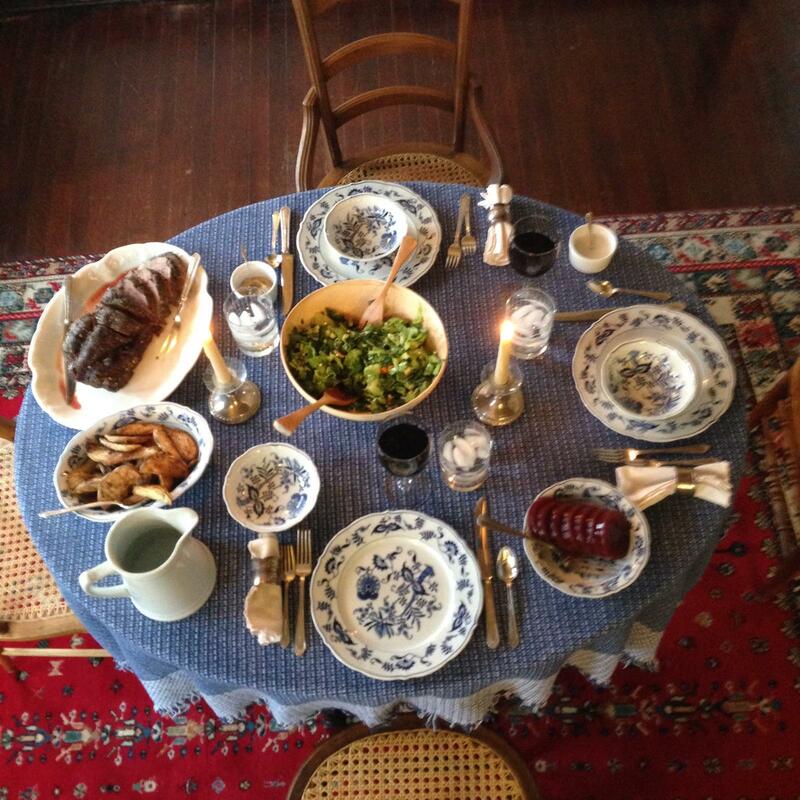 We are thankful for jobs, opportunities for travel, business and creative successes, delicious food, new houses. We are thankful for all of the blessings in our lives―things we have and are acutely aware that others don't, such as healthcare, education, transportation, food and warm clothes. We celebrate those among us who have devoted their lives to making life better for others and reaffirm our commitment to do more for others in the coming year. This is also when all the stories come out. Friends and family top the list of things for which we’re all thankful, so it's only natural it’s they who anchor the stories. My kids especially love stories about them, or about me or their dad. 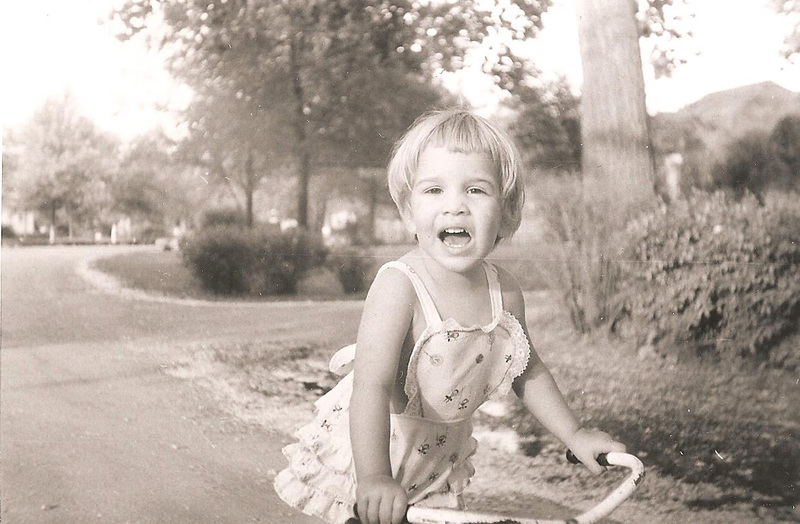 I was raised an only child (my dad had two sons from his second marriage, but not until I was in my twenties). That meant there was no one to blame when things went wrong. One day, I was sitting on my mother's velvet settee while she talked on the phone. When she hung up the phone, I climbed down to reveal a large wet spot on the velvet. My mother tilted her head and said, "Christy!" And like any two year-old worth her metal, I looked horrified, pointed to the family pet and said, "Vicky, naughty dog!" Stories of funerals are not usually funny, but I have a weird family. When my mother died, she wanted to be cremated. My grandmother was horrified. In fact, she was so upset, we lied. We had Gram pick out a casket and buy a cemetery plot, then we spent $6,000 burying an empty casket. As far as anyone knows, Gram never found out. So it was only fitting that when my father died, my brothers decided we’d have a Viking funeral. My dad was a Scot, and descended from Vikings, so it seemed fitting. But, to set the stage, you have to know that when it came to the sea nothing ever came easy with my dad. He lived in Maine the last twenty years of his life, and he'd sailed the waters off the coast every summer since he was fifteen. Still, there were many stories of his misadventures. There was the time he tried a new way of keeping the bottom of the boat clean. Rather than use bottom paint, he’d read somewhere that Desitin (baby rash cream) smeared on the bottom of the boat would keep the barnacle growth at bay. He put his kids and grandkids to work, and we documented the process. If it worked, we figured we could pitch a great commercial. Not! Instead of repelling the barnacles, it actually attracted them. There was so much growth that when they pulled the boat from the water that year, it slipped off the sling. There was the time we grounded on Otter Island. He’d pulled the boat to shore so he and the boys could climb off and pee and the tide had gone out. That meant we had to wait for the tide to come back in. Which wouldn’t have been so bad, except, while Dad has gotten the wok aboard, he’d forgotten the cooler with the food and drink. Fortunately a yacht happened by (sheer luck in those waters) and I hitched a ride back to Friendship with the three grandkids and picked up the cooler and a few sleeping bags. The yacht’s captain (a bit incredulous) then delivered me back to the boat. His donation (in addition to the ride) was to leave us with a two gallon jug of rum punch. Yo, ho, ho and a bottle of rum. It only stood to reason that the Viking funeral would have its moment, too. My brother the sea captain, had built a beautiful replica of the dory my dad had sailed as a teen. My father’s name was Harry deLorimier McKinlay, Jr., so after drinking some Harry’s beer, some deLorimier wine and some McKinlay whiskey, a small contingent of us launched the replica off the beach. My other brother shoved a roman candle in my hand and told me to point it at the boat, which the boys had doused in gasoline. It was then we discovered the captain had forgotten to put any ballast in the keel. The boat listed, spilled some of dad’s ashes into the water and turned back to shore. Long story short, we burned the boat on the beach. Naturally there were more stories, more laughter, and then the evening ended with rousing game of Pictionary. That’s when someone remembered the best drawing ever. The word was vineyard, and Addie, the youngest sibling, drew a circle inside a circle. One grape. To everyone’s disbelief, the word was guessed correctly. I’d love to hear some of your family stories if you’re willing to share. Happy Thanksgiving! Francine's post (Comfort Food for Any Crisis) resonated deeply with me. Like Francine, I often express my love by feeding people. I learned it from my mother--she's Lebanese, and in our culture, sharing food is vitally important. I have a confession to make: I'm a culinary snob. I like single origin chocolate from Madagascar, Vietnamese cinnamon, and always sweet, unsalted butter. My flour is from King Arthur's, my dutch-process cocoa from Penzey's, my coffee beans from Java Distribution. 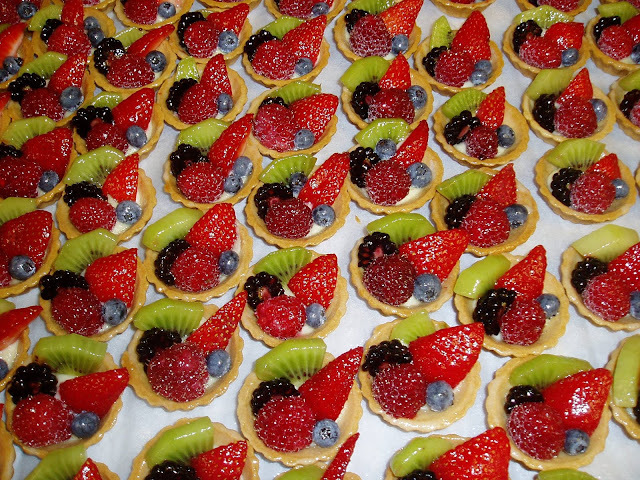 I attended Le Cordon Bleu, but my snobbery began well before any professional pastry training. My mother always asks herself before eating dessert, "Is it worth the calories?" If it is, fantastic! We enjoy. But if it's not, nothing doing. A few years ago, my mother's house burned to the ground. She lost everything. The remains had to be totaled, and a new house built in its place. A few weeks after the fire, as I was sifting through the rubble, I found a box of treasures: my mother's most cherished recipes, written on looseleaf paper, tucked inside manilla folders, stuck in a cardboard box on a kitchen shelf, directly over where the fire originated. Of all the amazing recipes and sweet creations I've made over the years, my all-time-hands-down-without-a-doubt-wouldn't-trade-it-for-the-world favorite is my mother's apple pie. 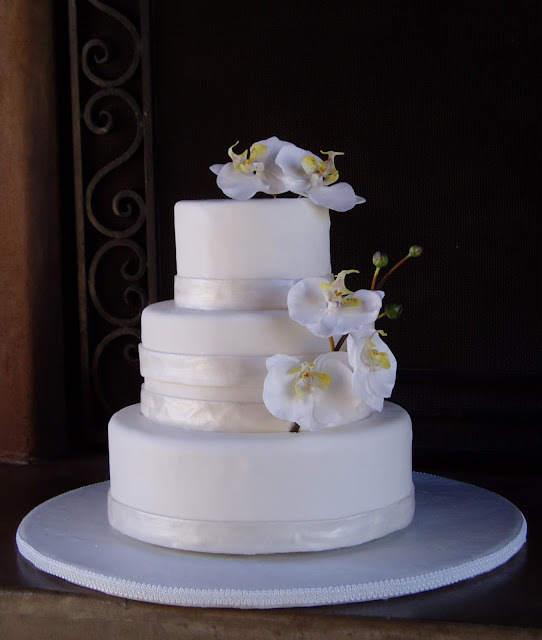 Naturally, as a pastry chef, I've slightly modified the recipe. But not much. The SECRET to making this the Perfect Apple Pie is to slice the apples paper thin. My mom. Eating is always an event for our family! 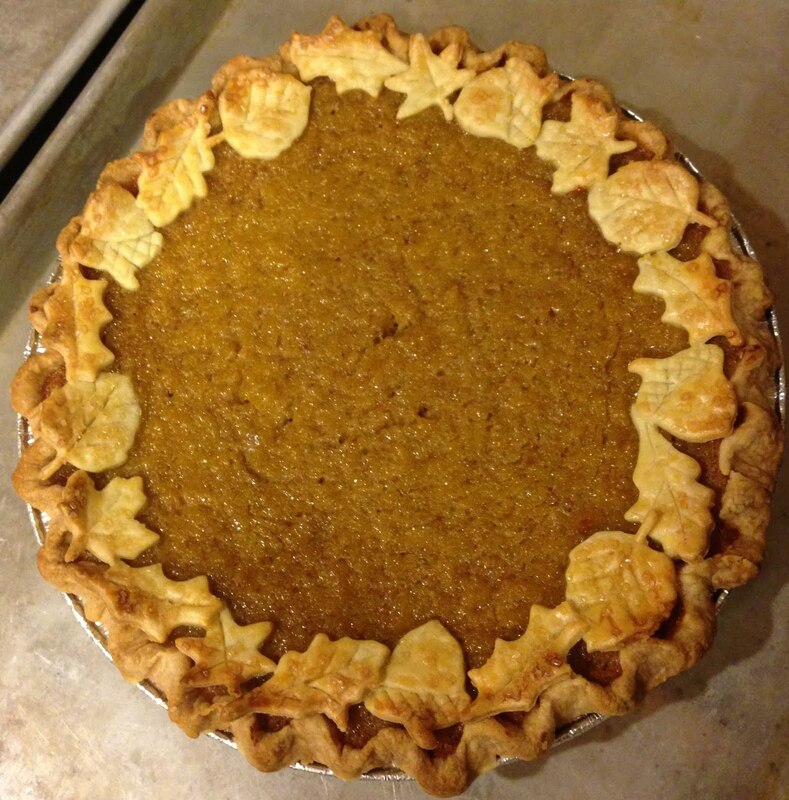 Naturally, a pie is only as good as its crust. I use Sally Schneider's Foolproof Flaky Butter Pastry recipe from A NEW WAY TO COOK. Happy Thanksgiving, everyone! We Rogues are so grateful for all of you! My family is sick to death of the phrase Food is Love. I trot it out on numerous occasions: when my son texts a picture of the grilled salmon his girlfriend left plated for him after his first day of work; when I spend three days shopping and preparing dinner for ten; or when I anxiously await the return of a kid from college, so I can finally grill his cheese sandwich again. I love recipes and cookbooks and great seasonal produce and perfect cuts of meat or fish. When I travel, I look forward to sampling new cuisine as much as new countryside. The characters in my books connect at tables over meals. I research food for every period and setting I employ in storytelling. And when crisis strikes, I hole myself up in the kitchen. A profound emptiness or grief at one's core can sometimes be soothed--although never cured--by stirring a pot. Nora Ephron realized this fully, of course, in her quasi-fictional memoir Heartburn, but it's a truth that can't be repeated too often. Ephron's touchstone in those pages is rice pudding, the dish that returns us to the nursery. 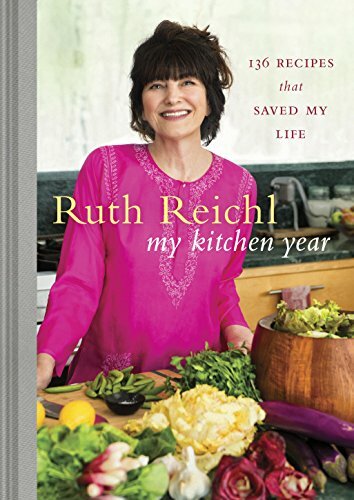 My favorite recent cookbook, however, is Ruth Reichl's My Kitchen Year: 136 Recipes That Saved My Life (Random House, 2015). Reichl is known the world over as a restaurant critic and cookbook author, but this volume chronicles her shock when the magazine she edited, Gourmet, was summarily shut down in a Conde Nast purge and the entire food community she'd cultivated was put to the sword. The book reads like a diary of her recovery, punctuated by Reichl's abstractly-composed tweets. The recipes are rarely time-consuming or intimidating. 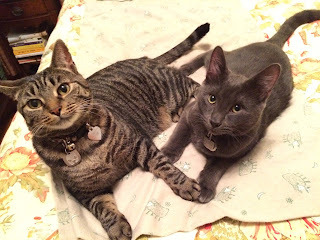 They're about comfort and impulse and reconnection with living. There have been too many types of loss, and too many who've experienced them, in 2017: floods and fires and the crushing force of 130 mph winds, madmen with automatic rifles and trucks driven out of control, and even, God help us, the resurgence of bubonic plague. For my part, the year has brought a handful of untimely deaths of people I loved. A good meal cannot end grief or avert chaos. But it can comfort. It can assuage. It can remind us that warmth and light and flavor remain in the world. And some days, that's enough. Here are a few of my favorite comfort foods, for when the blizzard is raging or the wolf is at the door. Gather a group of shallots, leeks, scallions and an onion red, yellow, or white--as many members of the allium family as you have on hand--and chop them into a small heap. Add a minced clove of garlic. 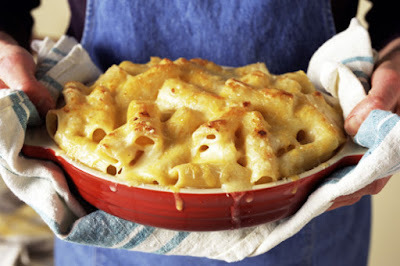 Grate a few generous handfuls of the best cheddar you can afford (Montgomery is particularly appealing), set a little aside, and gently combine the rest with the onion mixture. Butter one side of thickly sliced bread and heap as much of the mixture as possible between the slices. Spread a thin layer of mayonnaise on the outside of the bread (this will keep it from scorching on the griddle). 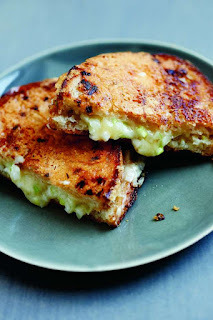 Press the reserved grated cheese to the outside of the bread, where it will create a wonderfully crisp and shaggy crust, giving your sandwich an entirely new dimension. This is one of the simplest dishes ever. And it is phenomenally flavorful, deeply satisfying, feeds a small village. Don't be afraid of the prunes. They melt into velvet. Cut two pounds of lamb into 2 inch cubes. Sprinkle with salt and pepper, and brown in a Dutch oven over medium-high heat. Remove. 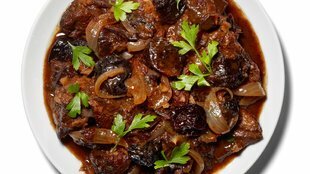 Add one chopped onion, 1 C diced or sliced carrots, 1 T minced garlic, 1 C pitted prunes, 2 tsps minced ginger root, 1/2 teaspoon cinnamon, and salt and pepper to taste. Add 1 1/2 C red wine, 1/2 C chicken stock, and the browned lamb. Bring to a boil, then lower heat to a simmer. Cover and cook until lamb is tender, roughly 2 hours (or more). Garnish with chopped cilantro. Serve over rice or couscous. My mother died nearly eight years ago. I have this recipe memorized. I make it whenever my elder son is home, because it says HOME to him. Peel and core 8 strongly-flavored, not too sweet, large apples. Thinly slice into a 9x13 pyrex dish or similar casserole. Pour 1/2 C orange juice over the apples. Toss with a well-blended mixture of 1/4 C sugar and 1/2 tsp cinnamon. 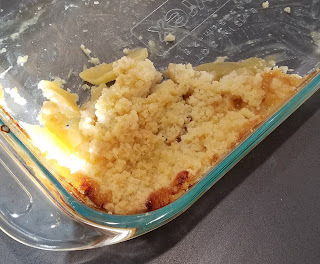 Top with a crumb topping made from 3/4 C sugar, 1 1/2 C flour, 1/2 tsp salt, and 12 T unsalted butter, cut in with two knives, a wire pastry blender, or processed in a food processor until it achieves the texture of crumb topping. Cook at 350 degrees for one hour. Serve warm with eggnog, rum raisin, or cinnamon ice cream. Food Is Love. Where do you find comfort? 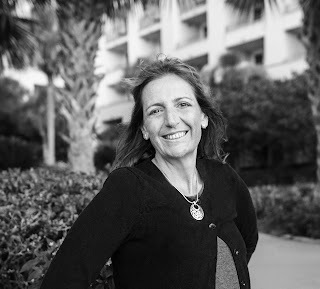 We are delighted to welcome guest blogger, Carla Neggers, the New York Times bestselling author of over 60 thrillers and mysteries which have ben translated into 24 languages and sold in 35 countries. One of my joys as a writer is creating a sense of place in my stories—transporting readers to an Irish country lane, a wintry Maine, autumn in the New England woods or any of the other places my characters find themselves. Thief's Mark, my latest suspense novel, opens in Dublin with FBI agents Emma Sharpe and Colin Donovan enjoying the last day of their Irish honeymoon. 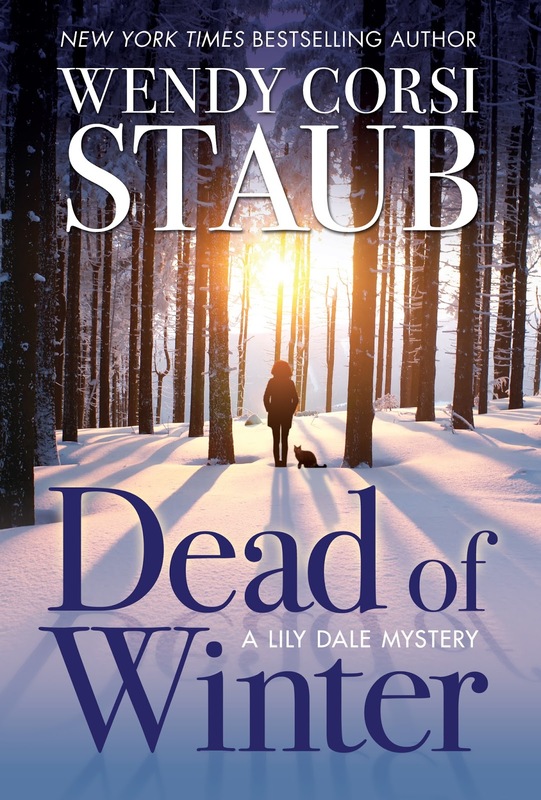 Of course, trouble finds them, this time landing them in the Cotswolds after a man is found dead at the country home of wealthy English art thief Oliver York. With rare exception, I've been to every place where I've set scenes. I'm a native New Englander, and Boston, where Emma and Colin are based, is "my" city. My husband and I met as students at Boston University. (I started out as a French horn major; true story!) Both our grown kids live there now. I've hiked many miles in the Cotswolds, wandered through Scotland and enjoyed a stay at London's Claridge's Hotel, Oliver's favorite hangout when he's at his Mayfair apartment. 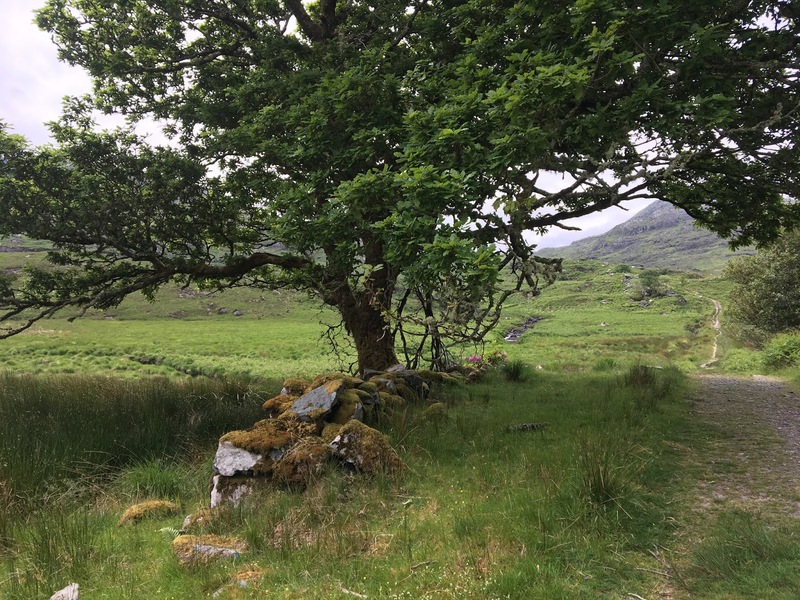 Every book in the Sharpe and Donovan series has a touch of Ireland. 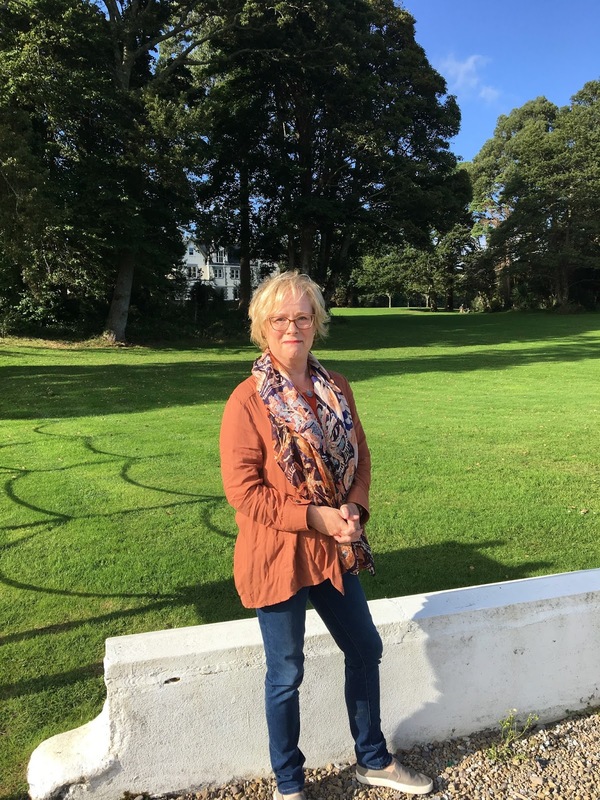 Emma's octogenarian grandfather, a renowned private art detective, is based in Dublin, and Irish priest Finian Bracken now serves a church in Colin's hometown on the Maine coast. 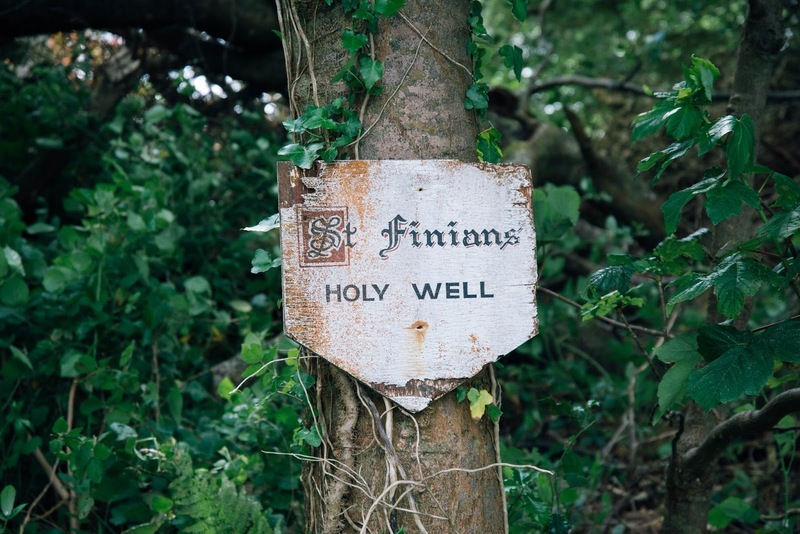 Finian and his twin brother, Declan, launched a whiskey distillery in the Kerry hills, but Finian quit the business and became a priest after tragedy struck his family. I visit Ireland often, whether with Joe, our gang or on my own. 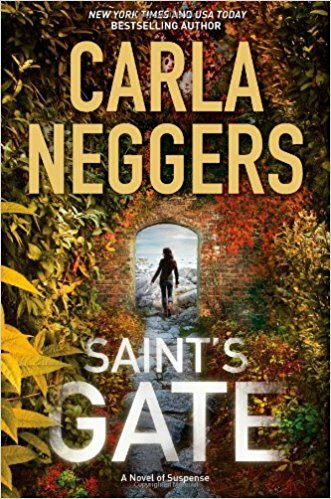 When I was writing Saint's Gate, the book that introduces Emma and Colin, I spent three weeks in a tiny hideaway on the southwest Irish coast. Father Bracken (Colin says he looks like Bono) was just coming to life for me. I took a break and found my way to St. Finian's Holy Well on the edge of Kenmare village, literally at the base of an old cemetery. The well wasn't easy to find or to get to, and, of course, it started to rain. That helped Finian take shape, and he and Emma meet in the story in that spot. As many times as I've visited Ireland, there's always something new to see and learn. In September, I ran the Dingle half-marathon. That was a first for me. Hmm. Must go back soon! While I often draw on personal experience and research when I describe a place, the scene is never through my eyes—it's through the eyes of the point-of-view character. What Emma notices, for instance—what she sees, smells, hears, feels—is because of who she is, what she knows, what's going on in her life at that moment. 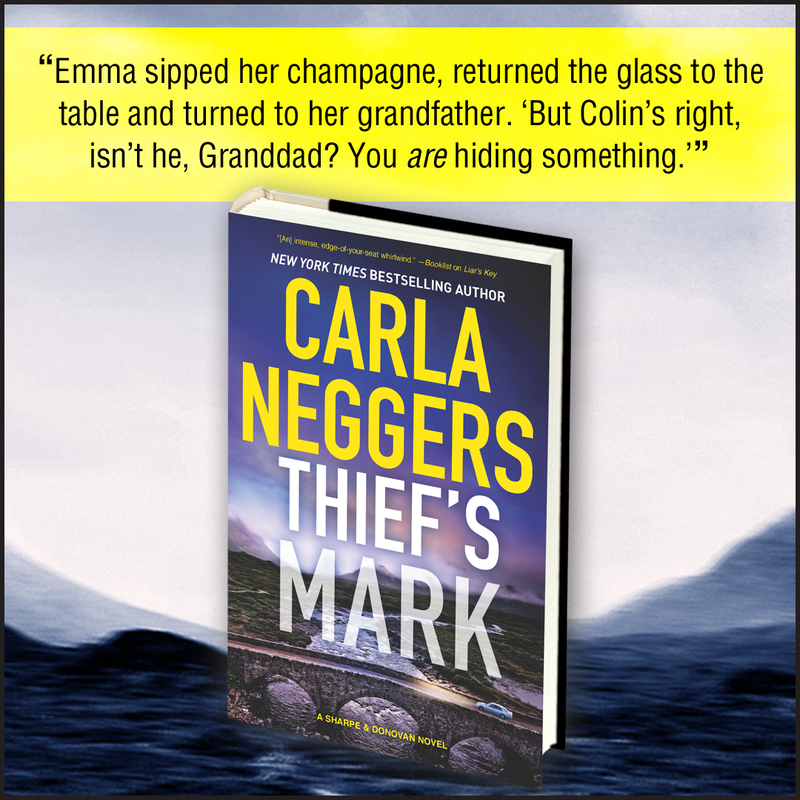 In those opening scenes in Thief's Mark, Emma sees Dublin differently from Colin because she worked with her grandfather there for several months before she joined the FBI. The walk from their hotel to her grandfather's house conjures up memories for her that it doesn't for Colin. He isn't as familiar with Dublin, but the details he'd notice would be different, anyway, because of who he is, his experience as an undercover agent, his mood as they wrap up their honeymoon and deal with a break-in at her grandfather's house that points to their elusive art thief. Thanks, Carla for showing how you've incorporated so many great locations in your novels and how very important they are! 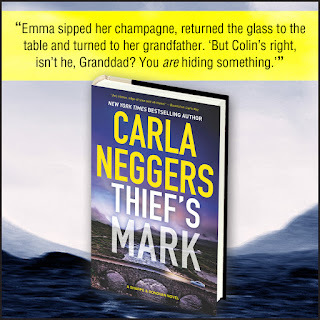 Now, I hope our readers will check out Carla's new book, Thief's Mark - it's terrific. This month we are writing about crises we have experienced - personally or professionally -- that we may have woven into our thrillers. My Rogue colleagues have gone through many harrowing and challenging emergencies - from hurricanes and tornadoes to national security disasters. How we deal with them -- and how a great hero or heroine would handle them -- is, of course, the stuff of great stories. While I did experience earthquakes living in San Francisco some yeas ago, the calamities most seared in my memory occurred during my service in The White House. Many of you will also recall these developments, even after so many years. The first one occurred just two months after the inauguration of President Reagan. I was scheduled to be in the car with Press Secretary Jim Brady on March 30, 1981. But I recall standing in front of his desk there in the West Wing explaining that I had a ton of press calls to return and research to do before his next briefing (I was his Deputy at the time)I remember his replying that this event was "No big deal - just a speech over at the Hilton Hotel. I have to go anyway. You stay here and do the work. I'll see you after lunch." As everybody knows, when the President and staff walked out of the Hilton that fateful day (I would have been standing right next to Jim, I'm sure) -- that's when John Hinkley fired 6 shots in 3 seconds, combat style, using two hands -- wounding Jim, two others and then hitting the President as he raised his arm to wave to the crowd. 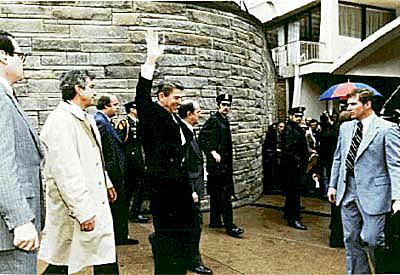 Secret Service Chief, Jerry Parr, seen to the left in the trench coat here, shoved Reagan into the car which then raced to the hospital. After the surgery we learned (but did not report to the nation at that time) that the bullet was lodged ONE INCH FROM HIS HEART. While several members of the senior staff went to the hospital to monitor this disastrous situation, I spent the day in the Situation Room as members of the Cabinet gathered to handle the investigation of Hinkley and any other "potential attackers" along with contacting leaders of Congress, allies and especially watching for any reaction of the Soviet Union during our time of crisis. Many books and article have been written about this whole scenario, and while I have not included this specific set of events into my thrillers, I have used the "tension" felt in the Situation Room, settings throughout The White House along with composites of many key personalities on hand. When President Reagan recovered, like all presidents, he had to handle many other crises here and around the world. 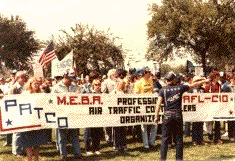 One of the first was the strike by the air traffic controllers - known as the PATCO strike. When the controllers asked for a raise, Reagan looked at the numbers and offered them an 11% hike. But they said it was not enough for them, and even though they ALL had signed an agreement NOT to strike, when 13,000 of them walked out, the President fired them and wrote the statement himself. Some 7,000 flights were cancelled, but order was eventually restored when many controllers from military bases rushed to fill the void until new ones could be hired and trained. 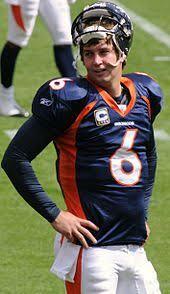 All the while the world was watching "the cowboy from Hollywood" to see just how tough he would be. Sometime later I recall Secretary of State George Shultz saying, "The statement Reagan wrote firing the air traffic controllers was the most important FOREIGN POLICY statement to date." And I took his point. 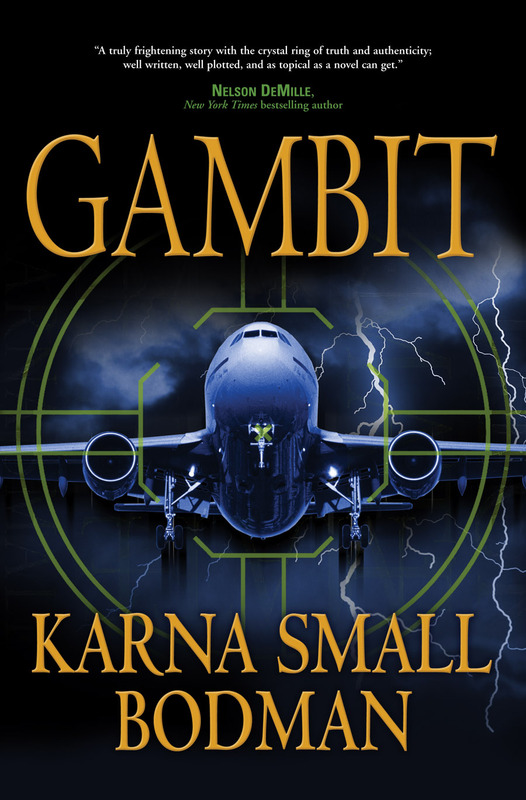 I did use that incident in my second novel GAMBIT which is a story about a threat to our commercial airliners. I was inspired to write it not only because of the fall-out from that PATCO strike, but watching the disaster of the shooting down of a Korean Jetliner (KAL 007) by the Soviets when it happened to stray into Russian territory. 269 innocent passengers were killed, and that included an American Congressman who had been on board. As in every administration there were many other terrible incidents that the President had to handle -- any one of them could be the genesis of a thriller. For example, the attempted assassination of the Pope, the hijacking of the Achille Laura cruise ship by Palestinian militants who murdered an American on board simply because he was Jewish -- and, he was in a wheelchair!!! Then there were numerous threats from the Soviet Union. When President Reagan took office, the Soviets had about a 3-1 advantage over us in large inter-continental missiles, to say nothing about their force of intermediate-range missiles. This challenge led the President to announce a program I have written about before because it was so new, so unique, and so maligned at the time as being expensive, unworkable and "crazy." I am talking about his Strategic Defense Initiative, SDI - or "Star Wars" as one columnist dubbed it. Now, so many years later, these defensive systems have been deployed around the world for the protection of our troops and allies and have had a rather impressive record of "shoot-downs" of enemy missiles, especially in Israel, and most recently in Saudi Arabia. The system is now also being deployed as a counter to the biggest threat to our nation in recent history -- the threat of an EMP attack. If an enemy ever detonated even a small nuclear device high up in the atmosphere, it would create an "Electro-Magnetic-Pulse" that would "fry" all electronics on the ground. And just a few weeks ago, the dictator of North Korea threatened just such an attack on the United States. If he ever pulled that off, certain parts of our country would be left with no communications, cell phones, computers, refrigeration, sanitation, transportation -- in effect setting us back to the year 1910. 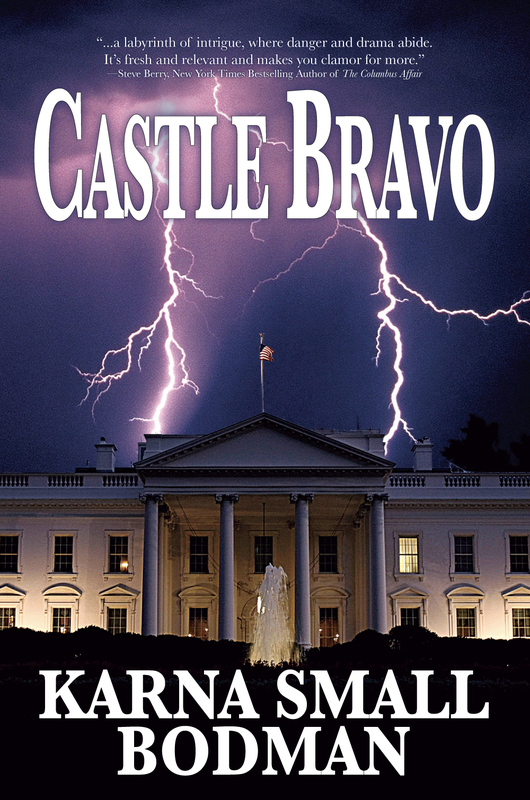 It is this very threat that led me to write my latest international thriller CASTLE BRAVO. 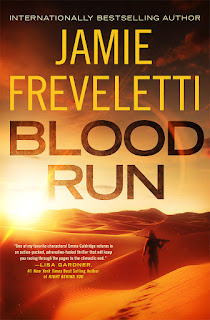 As I said at the outset, many of my Rogue colleagues, along with other great authors of thrillers (and mysteries) have experienced any number of crises in their lives and have featured them in their in their stories. 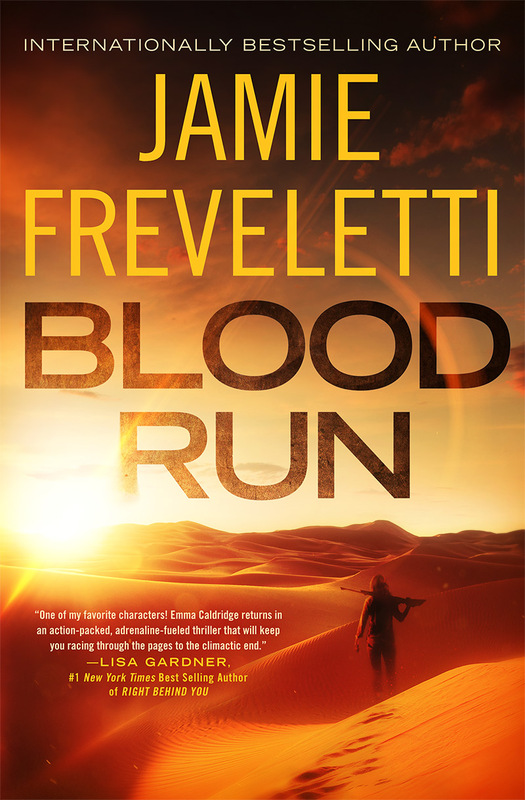 So my question for you is this: what crises or challenges have YOU experienced that you believe could be the basis of a pretty good thriller. Think about that and do leave a comment at the end here. We would all love to have your thoughts. Now, thanks for visiting us here on Rogue Women Writers.